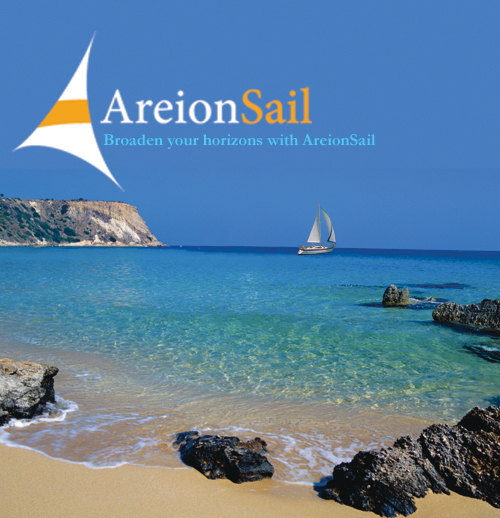 AREIONSAIL, thé organisation for sailing along the coast of the Peloponnese, EVERYTHING IS POSSIBLE! Would you like to unwind during a beautiful sailing trip on the Greek waters, or would you just like some action during your holidays, while maybe spotting dolphins and sea turtles? Then AreionSail is thé organisation for you. Besides active and relaxing sailing trips we also offer cultural boat trips and a combination of sailing/walking trips. Everyday we will depart from the picturesque Fishermans village Koroni. Koroni is a lively authentic, Greek village with venetian influences, situated at the Peloponnese. The Peloponnese is the largest peninsula of Greece, with beautiful nature, a lot of cultural sites like Olympia, the amphitheatre of Epidaurus, Sparta and the most wonderful thing about this area is that it is not a mass tourism destination. Here you will find deserted bays, beaches, fortresses, traditional taverns, low prices and stunning nature. Enjoy your well deserved holidays during a sailing trip with English speaking skipper and under the all seeing eye of Poseidon!